We all seem to think we have that one friend/family member who has everything they could possibly need or want, and we never know what to give to them, whether it’s their birthday or indeed…Christmas. Therefore, when you find yourself stumped for Christmas gift ideas for that one special person, here are seven unique presents that will surprise them. One way to make sure you get a special and genuine gift for that important person is by getting something funny and with which they can enjoy a laugh. Websites such as Yellow Octopus have many unique Christmas gift ideas for things that you can give which they may never have thought of before. Now no, I’m not talking about the most prized gemstone in the world, but that of which is rare to whom you are giving the gift. For example, an autographed copy of the latest book from their favourite author, or how about concert tickets to an artist they’ve always wanted to see? When we come to think of gifts, we tend to forget that homemade gifts can be some of the most meaningful to someone we care about. Those gifts we have taken the time to create ourselves often strengthen our bond with them, letting them see that we take interest in their lives. “The Spruce” has ideas such as a “leather hand bound book” which is perfect for any writer. Is it possible that the person for whom you don’t know what to buy is a lover of food? Maybe they are ecstatic about their cheese, or perhaps they love adding an array of spices to their dishes. According to Business Insider, you can find a multitude of gifts for the one who adores all things edible, or the things that accompany it. Such presents include a food themed box that you can give them a subscription to that they will receive monthly, which contain hot sauces, vinegars and spices that can liven up any meal. Does your receiver like their morning cup? Are they someone who likes a regular beauty treatment? Why not combine the two! We all know how the caffeine in coffee stimulates us and make us more alert, but it also has the ability to rejuvenate your dry skin. Coffee beans made into a paste with coconut or almond oil and sea salt help to replenish the skin of natural oils and salts. They also help to exfoliate the skin. Is there a particular old photo that the person you care about really likes, but it lies in the old photo album? Lifehacker has the great suggestion to make a cherished memory take pride of place. Why not buy a nice frame for the photo and give it to them to place in their house? Better yet, get it reprinted, or indeed, digitalised so that you can put it in a central area of your place. If you live a long distance from the person you love, there can be no denying that there is one truly unique and rare gift – your company! If you are able or can afford to visit the person in question, sometimes being able to spend some quality time with them is the best gift. 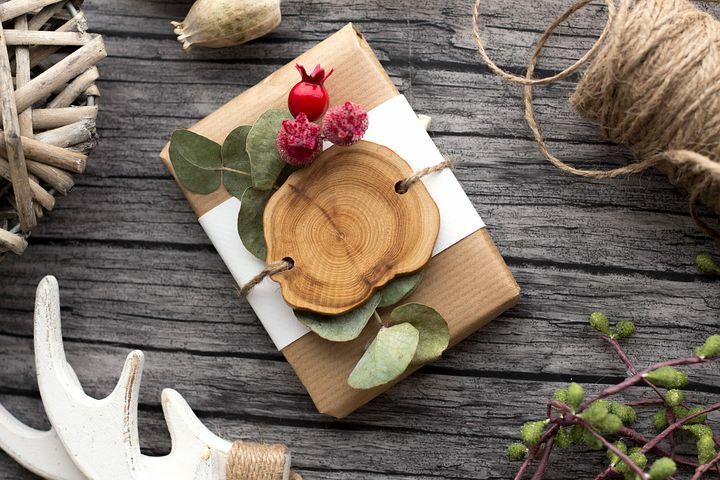 So, there you have it readers, seven unique gift ideas for this jolly season. Merry Christmas!